We know what you’re thinking; it’s summer vacation, don’t mention back to school! But it is never too early to help a child in need. 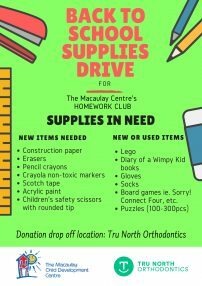 The Tru Squad is hosting a Back to School Supplies Drive for The Macaulay Centre’s Homework Club. 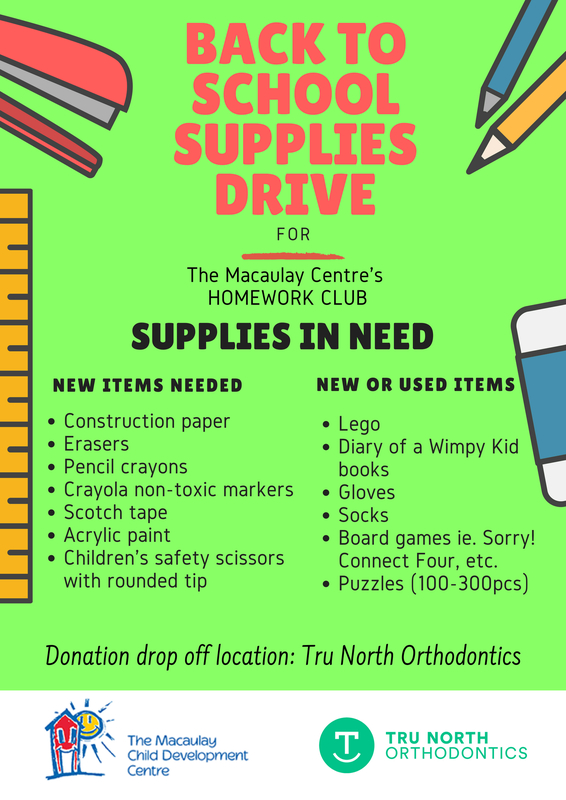 All donations can be dropped off to our office. Thank you in advance Tru Fam!